Verizon Wireless today announced that the Motorola Moto G will be available for sale via its prepaid wireless service beginning January 9. The device will cost $99 and does not require customers to sign a new contract. It is compatible with Verizon's prepaid plans, which start at $60 per month for unlimited voice minutes, messages, and 2GB of data. 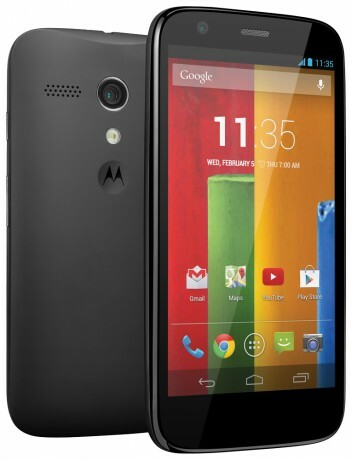 The Moto G does not support Verizon's LTE 4G network, and is also available directly from Motorola for $179. Consumer Cellular today announced that it has increased the size of its retail footprint to 750 Sears locations. Consumer Cellular said the newest locations will offer a wider selection of devices and colors.